The Citizen Security Strengthening Programme (CSSP) will facilitate the construction of 18 victim-friendly police stations which are slated to be completed by the end of 2018. With funding from the Inter-American Development Bank (IDB), government said those stations are being redesigned to address the capacity issues in responding to crime and violence within the country, which includes physical violence against women. It is within this context that the stations are being fashioned to include materials, equipment, and rooms that are convenient to reports and complaints against perpetrators. The modernisation of these stations is expected to foster an environment conducive to the efficient reporting system that caters specifically to victims. 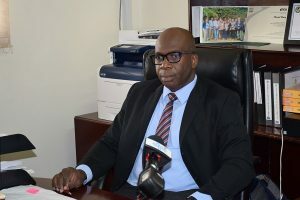 Henry said the CSSP is currently procuring a consultancy firm to conduct a full diagnostic review in order to understand and resolve any and all issues victims have relating to reporting matters and identifying perpetrators. “We are designing the police stations in a user-friendly manner…we’ve noticed from the safe neighbourhood surveys that many times people are reluctant [to make reports] …sometimes they complain that when they make a report, particularly domestic violence reports, [that] there is not enough confidentiality in the way they have to make the report at the open enquiries desk,” he was quoted as saying by government’s Department of Public Information (DPI). Plans are on stream to construct special rooms for domestic violence interviews as well as rooms for Identification Parades so that victims are not placed face-to-face with and intimidated by perpetrators. Construction began on 12 police stations in the last quarter of 2017 and another six are slated to commence by the second quarter of 2018. The Cane Grove Police Station is almost entirely completed using the refurbished design and is currently awaiting Intercom Systems. Construction of redesigned stations in Mibicuri, La Grange, Kwakwani, Mackenzie, Issano, and Annai are moving apace. Among the six stations that are slated to commence construction this year are those located at Whim, Albion, and Springlands.